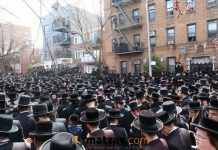 When Rav Shlomo Zalman Auerbach, one of the world’s foremost poskim and roshei yeshiva, was niftar on 20 Adar, 5755, the local police estimated that at least 300,000 people attended the levaya. Other sources reported a turnout of nearly 500,000. Many secular Jews, who had never heard his name, wanted to know why Rav Shlomo Zalman merited such respect. Newspaper reporters searched through encyclopedias and computerized archives for information about him. The encyclopedias did not mention him at all, while his name appeared in the archives of the Ha’aretz newspaper a few times, but merely incidentally. This oversight stunned the reporters, who were ashamed of their ignorance. Rav Shlomo Zalman Auerbach was born on 23 Tammuz, 5660. He was the first child to be born in the neighborhood founded by his maternal grandfather, Rav Shlomo Zalman Porush, the son of Rav Naftali Tzvi Porush. His paternal grandfather was Rav Avrohom Dov Auerbach, the rav of Chelmenik. His father was Rav Chaim Yehuda Leib Auerbach, author of Chacham Lev and rosh yeshiva of Shaar Hashamayim. His mother was Tzivia Porush. Rav Chaim Yehuda Leib Auerbach’s devotion to Torah was legendary. He maintained an ever-growing yeshiva, feeding its students and attending to all their needs, and also providing his married students with monthly stipends. When the financial situation of the yeshiva became desperate, his wife, Tzivia, urged him to sell all of the family’s personal belongings to prevent the yeshiva from closing. As a child, Shlomo Zalman asked to be left back a year in the Etz Chaim Yeshiva. His rebbi at that time was the Gidalei Shmuel, Rav Gedalya Shmuel Neiman. The rabbanim of Etz Chaim realized that a gadol b’Torah was blossoming in their midst and tried to dissuade him. His father feared that repeating a year in cheder would be detrimental to Shlomo Zalman’s development. But Shlomo Zalman’s will prevailed. “Rav Chaim Yehuda Leib was very insistent that Shlomo Zalman go to bed on time, so that he would have strength to study in the morning. But Shlomo Zalman would sneak out of the house at night, in order to study in the local beis medrash. “How did he accomplish that feat? Climbing on top of the windowsill in his room, he would jump out, and then run to the shul, where he and his chavrusa would study with gusto until late at night. Yerushalmim like to reminisce over the meals they ate when they were young. Those meals generally consisted of watery soup without vegetables, a tiny tomato divided among 10 children after it had been grated and seasoned with lots of paprika, and a single egg, similarly carved up. The more venerable Yerushalmim, though, don’t recall the soups, the tomato salads and the egg slivers. Their meals consisted only of dry morsels of bread. Rav Shlomo Zalman was one such Yerushalmi. As a child, he was fortunate if he had a piece of bread for supper. One day, though, an entire piece of bread actually remained on the table after dinner. “Ah, I won’t have to go hungry to cheder tomorrow,” he told himself as he wrapped the treasure in a bag and placed it in the cupboard, saving it for the morning. However, his famished younger brothers spied it, and split it among themselves. Shlomo Zalman rose in the morning and discovered that the treasure was gone. He knew that his younger brothers had eaten it, but did not reproach them. He quietly left for cheder on an empty stomach, resolving to fill his empty belly with sustenance from the Torah. When Shlomo Zalman was 11, he knew all of Kiddushin by heart. By the time he was 19, his remarkable chiddushim on Shev Shmaytsa had gained wide acclaim. These chiddushim, though, were published only many years later after his mentor, Rav Isser Zalman Meltzer, advised him to publish other works first. As a result, Rav Shlomo Zalman put aside his chiddushim on Shev Shmaytsa and published his monumental Me’orei Esh, the first work ever written on the use of electricity on Shabbos. His work on Shev Shmaytsa remained in manuscript form until Rav Pinchos Scheinberg published part of it at the end of his own sefer on Shev Shmaytsa. During Rav Shlomo Zalman’s later years, these chiddushim were printed in a volume of their own. Rav Shlomo Zalman acquired much of his knowledge on these topics in Midrash Bnei Tziyon, where he studied after his marriage. This kollel was founded by Rav Yitzchok Rosenthal and headed by Rav Tzvi Pesach Frank. Rav Shlomo Zalman served many great halachic authorities such as Rav Reuven Zelig Bengis, Rav Dovid Baharan and the Rav of Teplik. Rav Shlomo Zalman married Chaya Rivka Ruchamkin, the daughter of Rav Chaim Leib Ruchamkin, on erev Shabbos, erev Purim Meshulash 5690. The chuppa was held in the courtyard of Shaarei Chessed’s Gra shul. This date was chosen because it did not interfere with Rav Shlomo Zalman’s regular study session. At the seuda, he delivered a discourse on why a wedding may be held on the Friday of Purim Meshulash. He was given a sizable dowry — a plot of land in Bat Yam. However, when he learned that supervising this investment involved frequent dealings with the bank, which disrupted his study schedule, he sold the property to the first bidder. In his hesped for Rav Shlomo Zalman, his son-in-law, Rav Yitzchok Yerucham Borodiansky, illustrated just what marriage by the Shulchan Aruch meant to his father-in-law. “‘But who was in the room?’ she asked. Another, similar story involved a young man who escorted Rav Shlomo Zalman home and noticed that he groomed himself at the entrance to his house. Rav Shlomo Zalman’s consideration and sensitivity to his entire family set the tone for the behavior of all household members toward each other. The Auerbach home on Porush Street has entrances on both Porush and Ussishkin streets. After the rebbetzin’s petira, Rav Shlomo Zalman used the one on Porush Street, which could be reached only by climbing a steep flight of stairs. The other entrance led directly into one of the rooms occupied by his son Boruch, zt”l, who had moved in to help his father, and Rav Shlomo Zalman didn’t want to invade his privacy. “But how can I say it without crying?” she asked in a shaking voice. When his mother-in-law’s eyesight failed her, she wondered how she would be able to continue her practice of reciting the entire book of Tehillim every day. In order to assist her, Rav Shlomo Zalman personally taped the entire Tehillim for her, so that she could repeat the words of each chapter after him. These remarks were prompted by the low spiritual situation that prevailed in Eretz Yisroel at that time. The State had been established only a few years earlier, and the underground movement, which had attracted some of the Torah community’s finest youths, still wielded an influence over many youngsters from Torah homes. In 5699 Rav Yechiel Schlesinger, who was soon joined by Rav Boruch Kunstat and Rav Chaim Yakobovitz, established the Kol Torah Yeshiva in order to rescue the country’s youth from spiritual decimation. It was the first Ashkenazic yeshiva in Eretz Yisroel in which shiurim were delivered in Hebrew. This form of instruction was selected, with the encouragement of the Chazon Ish, for the explicit purpose of attracting youngsters from homes where Yiddish wasn’t spoken. Rav Schlesinger was niftar in 5709. In his will, he expressed the hope that Rav Shlomo Zalman Auerbach, who was only 40 years old at that time, would succeed him as rosh yeshiva. The yeshiva’s menahel, Rav Zev Lang, offered Rav Shlomo Zalman the position during the shiva week. Afterward, Rav Kunstat and Rav Martzbach visited Rav Shlomo Zalman at his home, and urged him to accept that position. At first, he was reluctant to accept their offer because he wanted to continue studying in Etz Chaim for the rest of his life. However, Rav Kunstat and Rav Martzbach did not relent. When Rav Shlomo Zalman could no longer resist the urging of these great rabbonim, he acquiesced. However, in his deep humility, he regarded himself as a replacement that would step down when Rav Schlesinger’s sons were old enough to deliver shiurim. Once he joined Kol Torah, he never regretted his decision to devote himself to chinuch, and teaching became his most important goal in life. The inscription on his tombstone, “He taught Torah in Kol Torah for many years and produced generations of students,” expresses the essence of his life. There was a time when Rav Shlomo Zalman considered leaving Kol Torah. Eretz Yisroel’s Chief Rabbi, Rav Yitzchok Herzog, once offered Rav Shlomo Zalman a position as dayan on the High Rabbinical Court. When the heads of Kol Torah learned about this, they asked the Chazon Ish to intercede. Rav Shlomo Zalman heeded the advice of the great Torah luminaries of his time and remained in Kol Torah. The predictions of the gedolim soon materialized. He merited two crowns: that of a rosh yeshiva who spread Torah to countless numbers of students, and that of a great halachic authority, who answered questions addressed to him by Jews from all corners of the world. His rulings, especially those on scientific, technological and medical matters, are used today as a basis for current psak halacha. 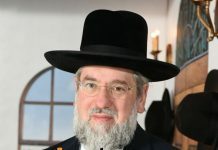 Hundreds of his answers to medical questions appear in Nishmas Avrohom and Lev Avrohom, by Professor Avrohom Sofer-Avrohom and in the Halachic Medical Encyclopedia of Dr. Avrohom Steinberg. Rav Shlomo Zalman believed that the key to chinuch is love, and that through love one can reach out to students. When he had to reprimand students, he did so in his uniquely pleasant and genial way. Because his students loved and respected him, his soft-spoken words had a tremendous impact. Straight reasoning and logic were the cornerstones of Rav Shlomo Zalman’s approach to learning. When delivering a shiur, he would read the Gemara, along with Rashi and Tosfos, in a very clear manner, elucidating their disputes and explaining how the Maharsha understood the text. Then he would present all of the pertinent commentaries of the Rishonim and the classic Achronim, clarifying them in the light of the sugya under discussion and explaining their implications and ramifications. His explanations were so lucid that everyone understood them. His lessons were lively, concrete discussions, which transported his students into the world of the Gemara, making them to feel personally involved in the cases at hand. When he reviewed the claims of buyers and sellers mentioned in the Gemara, his students felt that they were actually in the marketplace, listening to the arguments of the two sides. During the shiur, he would explain the foundations of the sugya and demonstrate how practical laws were derived from it. Due to their amazing clarity, these shiurim seemed uncomplicated. But their simplicity was only superficial. Anyone truly versed in the Gemara and capable of in-depth analyses could perceive that he had woven all of the commentaries into his shiur, adding many chiddushim too. Kol Torah’s students took advantage of Rav Shlomo Zalman’s special attachment to them in order to amass more and more Torah knowledge. When Rav Shlomo Zalman arrived at the bus stop near the yeshiva, after it had moved to Bayit Vegan, many of his students would greet him. On the way to the yeshiva, they would ask him questions. After the shiur, they would accompany him back to the bus stop, discussing Torah with him the entire time. Quite often, they would ride back with him to Shaarei Chessed. He staunchly supported Agudas Yisroel in its struggles, especially its efforts to cancel the law requiring girls to serve in the Sherut Leumi, and he supported the system of army deferrals for yeshiva students. He was also an active member of the Vaad Hayeshivos and had a profound influence on its members. Although he avoided disputes, he did not hesitate to exert his influence in the most effective manner possible when a situation called for him to be firm. Thus when a former chief rabbi of Eretz Yisroel permitted a forbidden marriage, Rav Shlomo Zalman personally asked all of the gedolim of the country to sign a letter stating that the decisions of that rabbi were not valid. Rav Shlomo Zalman’s power of concentration was so great that no outside factors could divert his attention while he was studying. A student once photographed him while he was learning. But Rav Shlomo Zalman did not even notice the glare of the camera’s flashbulb. On another occasion, a student approached him with a question. Because Rav Shlomo Zalman was engrossed in his studies at the time, the student decided to wait until Rav Shlomo Zalman looked up from his Gemara. Fifty minutes passed and Rav Shlomo Zalman did not raise his eyes. Finally, the student tiptoed out of the room. When Rav Shlomo Zalman was 86, a student whose family had serious financial problems became engaged. Kol Torah’s staff called an urgent meeting at which it was decided to collect money for the student. Immediately after the meeting, Rav Shlomo Zalman left without saying a word. The very next morning, he appeared in the yeshiva, beaming with joy. “I’ve collected some money,” he reported. Then he handed the yeshiva’s secretary an envelope filled with checks for the chasan. Every day after he finished davening, he would recite Tehillim. Once, a famous gadol consulted him on a very serious shalom bayis problem. “Come, let us recite Tehillim,” Rav Shlomo Zalman suggested. And so, the two gedolim sat down and recited Tehillim. The couple has lived in peace ever since. Rav Avrohom Leizerson relates: “His blessings would always materialize, and he did not hesitate to pray for whoever needed siyata d’Shmaya. Nevertheless, once, after being surrounded at the Kosel by scores of people seeking his blessing, he sighed. “Alas, the world is mistaken about me. I have become a kleine bencherel” (literally a small booklet which contains many of the required daily blessings). On the last Wednesday of his life, he attended a bris. 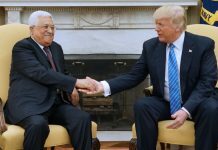 While returning to Shaarei Chessed, he complained of pains in his chest and could barely get out of the car that was taking him home. Many people waited for him outside. He agreed to see all those with urgent questions. However, one of his family members hinted that Rav Shlomo Zalman wasn’t feeling well and everyone left. When Rav Shlomo Zalman saw that no one was entering the house, he asked what had happened. He was told that the callers had been informed that he was ill.
That evening, despite the protests of his family, he attended the chanukas habayis of a relative. “He did me many favors, and I must repay him for his kindness,” he said. He later visited one of Shaarei Chessed’s charity trustees and asked him to assist a certain widow. The next morning, when he returned from shul, he prepared donations for the needy on his charity list. Because it was too difficult for him to write, he asked his son to fill in the details on the checks, while he merely signed them. Afterward, he answered questions by phone, but no longer accepted callers personally. In the evening, he was taken to Shaarei Tzeddek Hospital. The next day was Friday. Two hours before Shabbos, he took a turn for the worse, and Rav Avrohom Leizerson decided to notify the public about the situation. In a matter of moments, vans with loudspeakers began to drive through Yerushalayim’s streets, broadcasting recorded announcements asking the public to pray for Rav Shlomo Zalman’s recovery. He was conscious on Shabbos. On motza’ei Shabbos he seemed better. However, on Sunday, the beeper of the monitor to which he was attached let out a signal that indicated that he was niftar. Shema Yisroel was recited, and tears flowed like rivers. Rav Shmuel asked his family to recite the Boruch Dayan Ha’emmes blessing b’ simcha along with him. Every day of the shloshim period, hespedim were delivered in Rav Shlomo Zalman’s memory, both in Eretz Yisroel and abroad. With each passing day, many more facets of Rav Shlomo Zalman’s illustrious personality emerged. On the 20th of Adar, 5755, the world lost one of its foundations. It will never be the same. Tzaddick Yesod Olem, I still remember the time I met with this GADOL together with my family. What a huge and amazing smile and simchas hachaim.